Swinton have signed utility-back Daley Williams for the 2019 season. 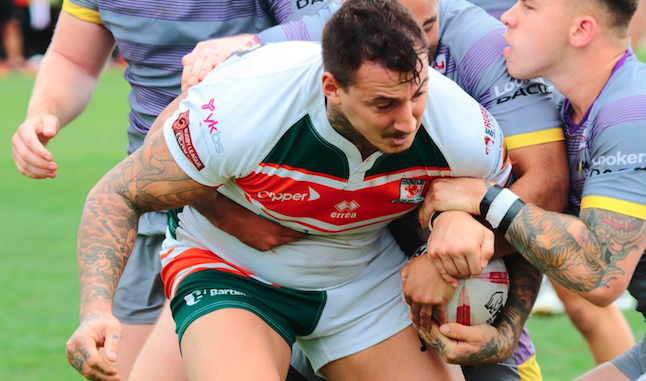 The 32-year-old played alongside current Swinton coach Stuart Littler when the pair were at Salford Red Devils together, and Littler was keen to bring Williams in for next season. Williams, who can play at centre or wing, scored three tries in five games for Hunslet last term. On signing for Swinton, Williams said: “I’m over the moon to be playing for Swinton in the Championship. “I want to play at the highest standard of rugby I can so I’m glad to be back up there. Lions’ coach Stuart Littler added: “Daley was a promising junior at the back end of my time with Salford as a player. “He is a strong, robust centre who will add some strike to our edge. Over the years, he has developed his game and I am confident we can work with him and facilitate even more development.